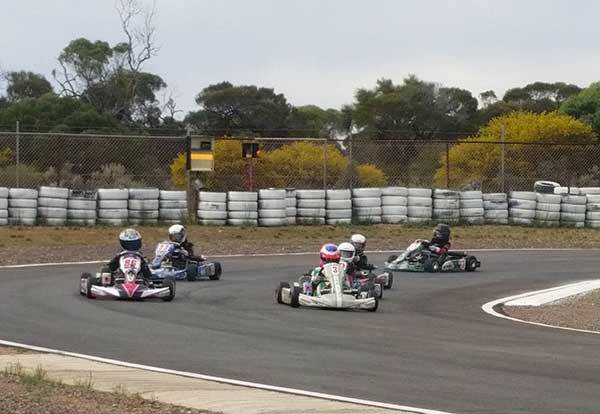 There was a good turnout for the Clipsal Night Title, with many good drivers coming from all over the state. The racing was close all day with times improving through into the night as the temperatures dropped off. This, with the new track surface, helped with the setting and breaking of a few lap records. Cadet 9 had a good showing with 6 young drivers hitting the track. Out in front was a very close battle between Leo Iannella and Rock Han. Leo took out the night with a new lap record of 27.135. In third place at the end of the night was Jett Zerk. In the Cadet 12 there was some close racing with Jai Hillock finishing the night on top with Ky Hubner and Liam McCourt picking up the 2nd and 3rd places. 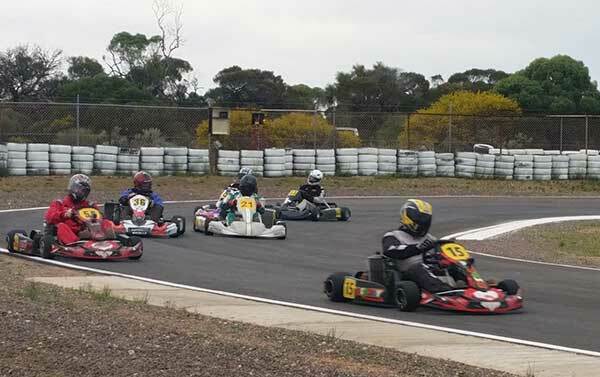 Whyalla also had some Open Performance karts hit the track, with a track record set at 25.116 by Brandon Stillwell, whom took out the night in front of James Gorman and John Ellis. It was great to see these karts on the track. The TaG 125 Masters and TaG 125 Res Medium combined to bring the field up to six. Andrew Chapman took out the TaG Masters as well as a new lap record of 25.635. While in the TaG 125 Res, Brian Sampson showed some good speed to win the night. Can’t do much without officials! 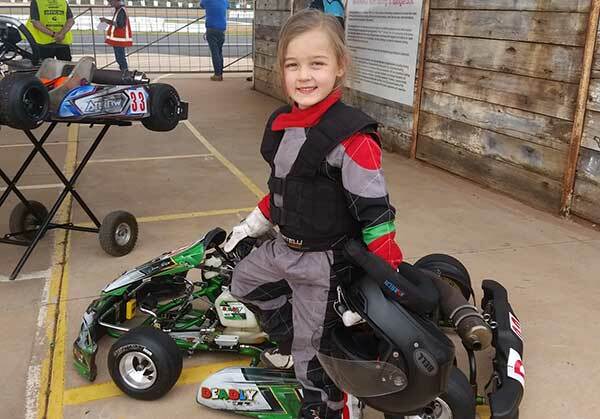 Cainton Standley-Grace had a clean sweep in the KA4 Junior Light to take first place, but Corey Clift showed it would not be long and he would be on the top step with consistent lap times. With the largest field of the race meet saw the TaG 125 Res Light combine with the TaG 125 Res Masters and it did not disappoint. Up front it was a tight battle between the top 4 drivers, in the end Stephen Blee finished on the top of the podium, but not far behind was Anthony Waddell and Luke Clee. The victor in Rest Masters, with a new lap record of 25.831 to add to his win, was John Ellis. A close race between 2nd and 3rd saw Gary Owen come in in front of Scott Harper. 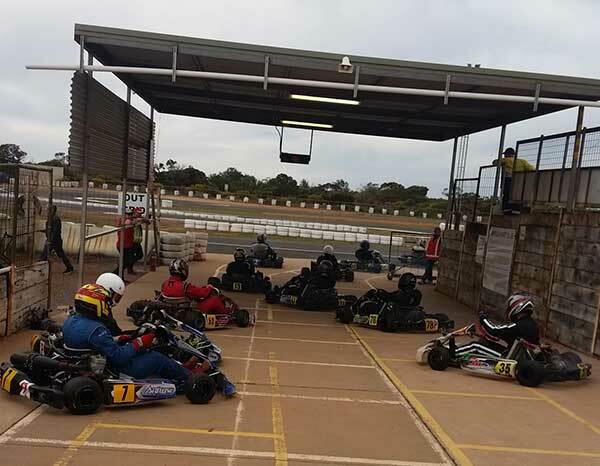 The Whyalla Kart Club would like to thank Clipsal for sponsoring the night, volunteers and officials plus the drivers who traveled from across the state to make the night titles a very enjoyable and competitive race meet. 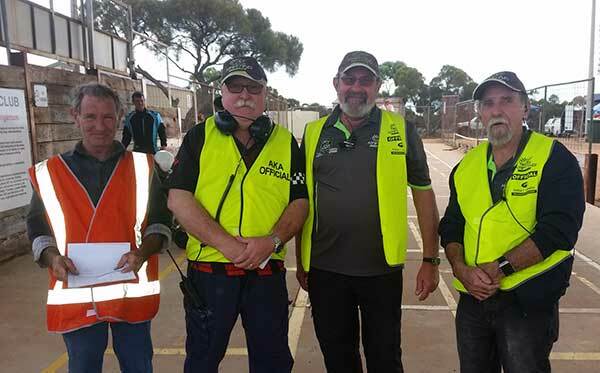 We look forward to the next meet and hope to see you there – 30th September, Whyalla Open Meeting day/night.